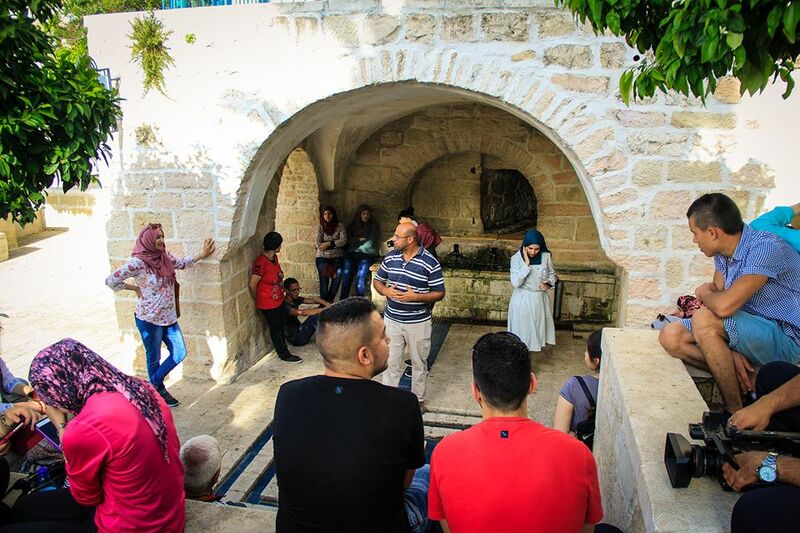 Burj Al-Luqluq Social Center Society organized a tour within the good role model program ‘ The Guards of History’ to the depopulated Village Lifta , in a participation of 50 Jerusalemite youth. Mohammad Abu Al-Leil went with the participants and presented a brief story about the Palestinian narrative on Lifta’s history, depopulation and the Palestinian Nakba. The tour started at 8 am in front of Al-Rashideyah school straight to the village. Mohammad met the participants and welcomed them, he also presented a brief main descriptions of the targeted village. And then, the participants along with Mohammad went to the eye of Lifta – the Pool, Mohammad explained the importance of the eye, its nature, the surrounding houses, how the citizens were living in the village and determined the location of bathrooms in these houses.